Behavioural Safety Programme - Biosafety S.A. The implementation of H&S in its entirety, in a corporate organization is an outcome of the “positive safety culture” that extends throughout the organization and its operations and activities. Although difficult to depict with mathematical precision, it is established that 80% to 95% of occupational accidents result from unsafe behaviours. Biosafety has developed and implements a Behavioural Safety Program that can support any corporate organization, enhancing its effort to develop a positive H&S culture, decrease dangerous behaviours and eliminate occupational accidents. Unsafe behaviours lead to near misses, that in turn lead to lost time incidents, LTIs. Consequence of LTIs are serious accidents and at the top of the consequence pyramid, fatalities. 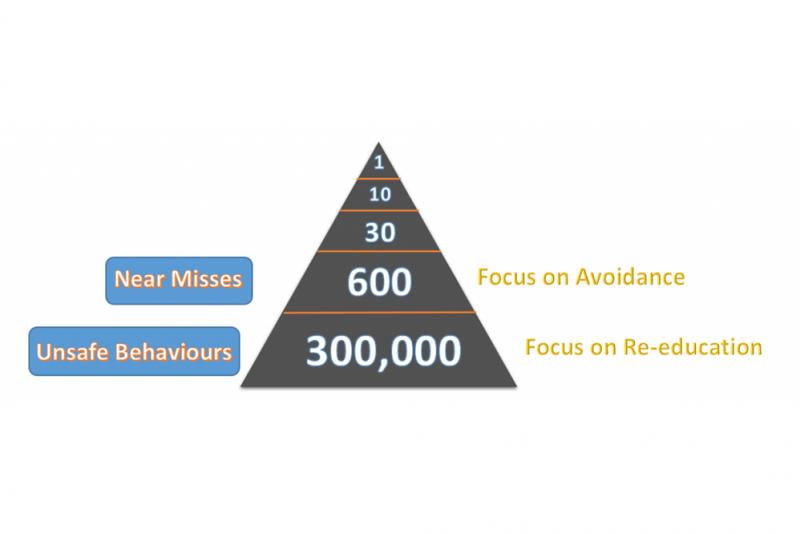 In the Behavioural Safety Program (BSP) behaviour is described by the approach of the ABC model (Antecedent, Behaviour, Consequence). Accidents are the final result of a series of successive events that are combinations of causes and result, deriving from peoples’ unsafe actions and choices.